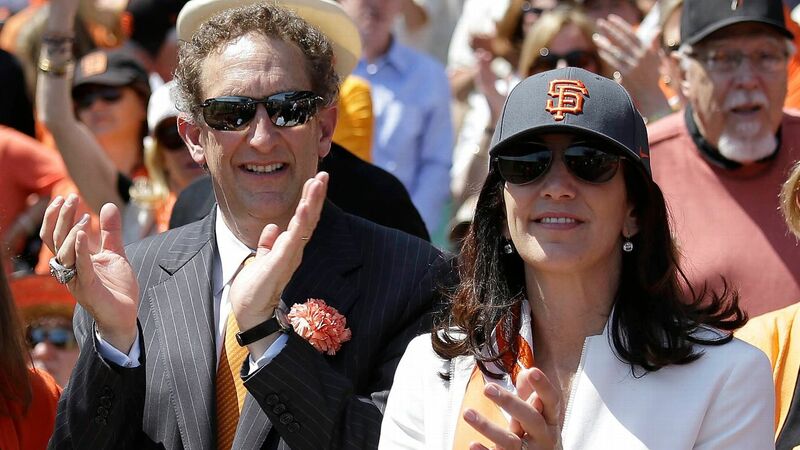 The San Francisco district attorney's office will not file criminal charges against Giants CEO Larry Baer after an altercation earlier this month between Baer and his wife was caught on video. "After a careful review of the relevant evidence, including multiple videos, statements from several witnesses and the parties themselves, the evidence does not support filing criminal charges," DA's office spokesman Alex Bastian said. In the video, posted to TMZ on March 1, Baer's wife, Pam, screams, "Oh, my God! No!" while falling to the ground as her husband attempts to take a cellphone from her. The video also shows Larry Baer holding the cellphone while walking away. Baer took a leave of absence from the Giants on March 4. "Mr. Baer has acknowledged that his behavior was unacceptable, apologized to the organization and is committed to taking steps to make sure that this never happens again,'' the Giants' board of directors said in a statement at the time. Major League Baseball had said it is looking into what happened and could discipline him under its domestic violence policy, which applies to front-office members. The Giants said the organization will cooperate with the investigation. "As leaders in the community, we at the Giants hold ourselves to the highest standards and those standards will guide how we consider this matter moving forward,'' the team said. Baer was part of the ownership group that bought the Giants in 1992 to keep the team in San Francisco. The club won the World Series in 2010, 2012 and 2014. Baer took over as CEO on Jan. 1, 2012. San Francisco mayor London Breed on Monday called on MLB to suspend Baer. "While Mr. Baer has apologized and expressed remorse for his behavior, it does not excuse his actions and it does not erase what transpired," she wrote in a letter to MLB commissioner Rob Manfred. "Mr. Baer's actions were serious and wrong. We are a City that loves and supports our San Francisco Giants, and that means holding our organization and its leaders to the highest of standards.